CONCORD, Calif. (KGO) -- A K-9 cop that was stabbed in Concord is back at home and resting. Police say Jelle, a one-year veteran of the force, was stabbed in the face while chasing a suspect near downtown Concord on Tuesday. 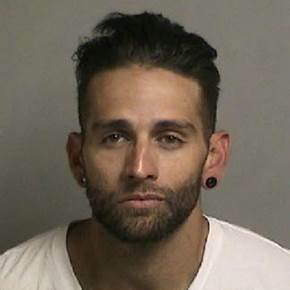 The suspect was identified on Wednesday as 30-year-old Dominick Musulman of Antioch. Police say 30-year-old Dominick Musulman of Antioch, Calif. was shot and killed after stabbing a police dog and a person in Concord, Calif. on Oct. 11, 2016. According to officials, Musulman had slashed another man on Crawford Street and then ran off while stripping off his clothes. Musulman was shot by two officers. He later died at a hospital. Police say the victim is expected to recover. "Thank you to everybody that reached out to us today to check in on our buddy. It's been a long day. 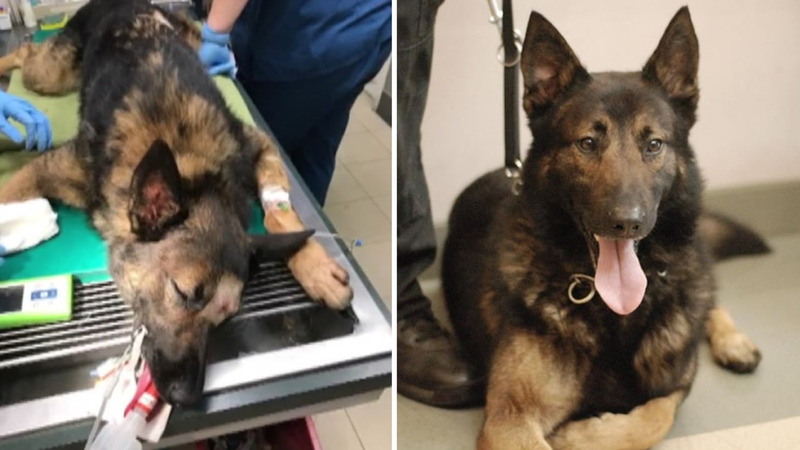 K9 Jelle was treated for a stab wound and is now back at home resting. There is nothing to suggest he won't make a full recovery and come back to doing what he loves most....Protecting our community.....Check back soon for more updates on K9 Jelle's progress." The district attorney is now investigating the case.